- SHIPS FREE - DISCOUNTS all day everyday! 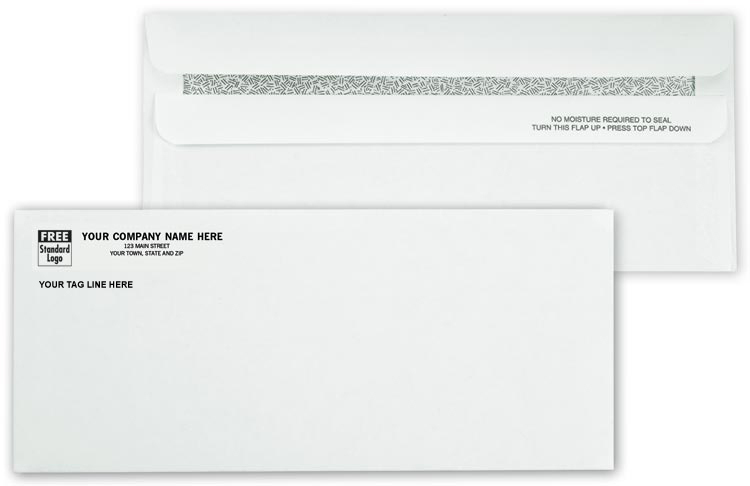 Envelope Size is: 9-1/2" x 4-1/8"
Regardless of your provided sample (if applicable), you will receive a return address imprint as shown in the above product image (upper left corner imprint only) with your personalization options shown in steps 1 and/or 2 using standard default type styles / fonts, sizes and type positioning. If you require a specific look, please provide the artwork for this order. NOTE: All orders will print using standard default upper left-hand corner positioning. Your Custom Artwork Imprint Size/Area must remain within this margin of: 4" wide x 1-1/16" tall or it will be reduced to fit.